I am a 40 something lady who has a chronic condition called lipoedema, to put it in simple terms my legs are extremely painful and really big and heavy due to the fat cells in both arms and legs swelling up more than normal. The condition is managed by wearing horrible compression garments and if I’m honest I don’t know whats worse the garments or the condition its suppose to be helping! I came across this treatment called tumescent liposuction with Dr Gupta in Harley Street. I had heard of this treatment being offered abroad but didn’t want to risk it; I would rather always be treated in the UK. On my consultation with Dr Gupta I was nervous especially about showing off the parts of my body that not even my husband had seen in years. I hated my legs so much and I was so ashamed of them that I actually gave birth to our child under a sheet, so he would not see my legs in the light! To show someone like Dr Gupta and his assistant was a huge thing for me! Dr Gupta made me feel very comfortable and reassured me that he could help. He understood me and had seen women like me before. He listened to me, discussed what would happen during the procedure and helped me set realistic expectations; not promising anything that he knew he couldn’t deliver. He had my trust and my husband’s trust from there on in, and boy did he deliver everything and MORE! To say this man has changed my life is the understatement of the century. He’s not only changed my life he’s changed my life with my children and my husband which is priceless. People have noticed big, big, changes not only in body shape but in my face and I know you will be asking yourself why the changes in my face and its because I am not living with so much chronic pain and depression. The support that you get from his coordinator is truly amazing she is always at the end of the phone or email and in touch with Dr Gupta if there are any questions you have after the procedure. To sum up, I would recommend Dr Gupta to anyone because the level of service you get is second to none. Dr Gupta is the Liposuction King! He goes up and over to deliver the best results for you. 1st class surgeon. 1st class service. This review was originally published on TrustPilot. "Dr Gupta is the Liposuction King!" 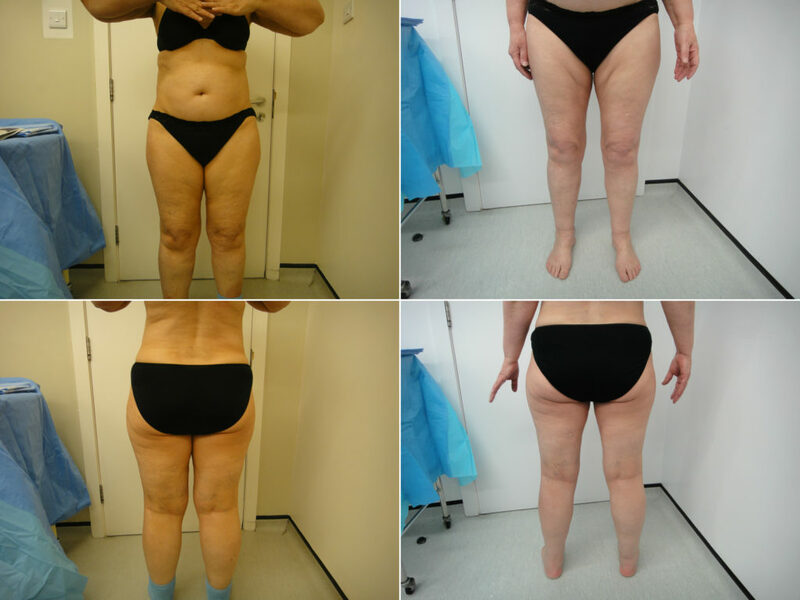 Dr Gupta performs cutting edge lipoedema treatment. Mistakenly referred to as just fat, lipoedema or lipedema is more than just the fatty tissues that accumulate in the buttocks, legs and thighs. Microcannular liposuction is a pioneering technique that uses tumescent anaesthesia instead of general anaesthesia, widely considered the safest form of liposuction.